This is my groups poster of the key competencies! TRUMP it stands for Thinking, Relating to Others, Understanding Symbols language and text, Managing Self and Participating. We took photos of us showing TRUMP and added them in! 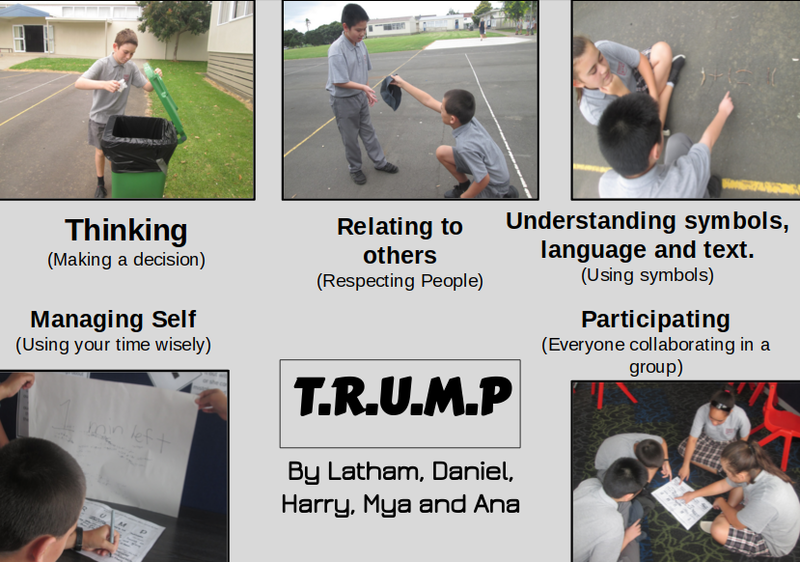 Outstanding collaboration to create this DLO Latham! Your pictures will definitely help others to see what the key competencies might look like at PBS.